The Lodge is a comfortable and affordable luxury lodge with guest dining room, TV lounge, 4 double bedrooms with ensuite: Two Turret Rooms - super king-size bed, Canterbury Room - queen-size bed, Bledisloe Room - queen-size bed. Each bedroom enjoys a "long view" of hills and coastal scenes. Wake up to bellbird song and a spectacular sunrise! 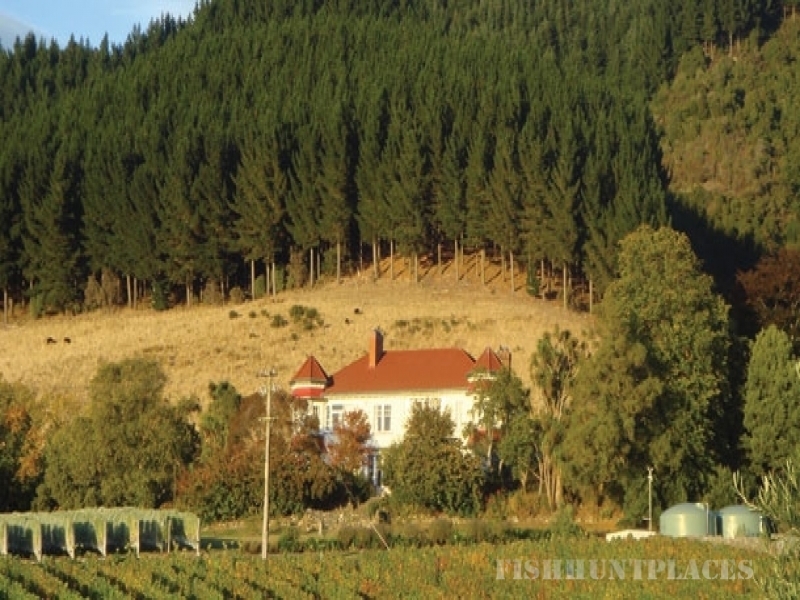 The Lodge's unique setting is at the foot of the Hunters Hills, close to native bush with stunning panoramic coastal views – only 2 minutes from the centre of town and a short distance off SH 1. Waimate is halfway between Christchurch and Dunedin and known as the Gateway to the Waitaki Valley and South Island's most scenic lakes. Step off the highway and discover a unique tranquil setting. The Lodge produces local wine from its own vineyard and operates a cellar door. Unwind at the end of the day with a glass of local wine in hand and a soak in the outdoor hot tub. The new Vines Restaurant and Cellar door is now open and provides high-quality food served with choice of craft beers or our own local wine. A vineyard, winery and olive grove are at the front gate. The Cellar Door is open and wine is available for purchase. Further information on below activities can be forwarded on request.